On this day in 1906, in a London beauty salon in front of an invited audience of hair stylists, German hairdresser Karl Ludwig Nessler, also known as Charles Nestle, demonstrated the first permanent wave for hair, the precursor to the modern-day perm. The son of a shoemaker born in the Black Forest town of Todtnau, Nessler developed an early interest in hair styling and gained experience at several jobs and apprenticeships in Europe, where he worked as a barber and a hairdresser. It was during these jobs that Nessler first got the idea for a hair-curling invention, which he began experimenting with in 1896. In fact, the first person to produce a method for curling hair was Marcel Grateau, who in 1872, invented a pair of crimping tongs, that when heated on a gas flame and applied to the hair, produced a two-dimensional wave, similar to a curling iron. The method relied solely on heat, and as it grew in popularity, women were looking for new ways to curl their hair. In 1905, Nessler, who began going by the name “Charles,” had his own salon in London, where he continued tinkering with new hair-curling methods. 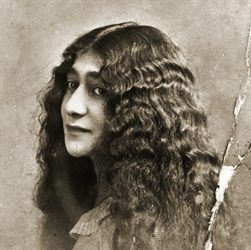 He combined Grateau’s method, which used heat to curl hair, along with an older method, which used caustic chemicals to curl wigs, to develop his own invention. The procedure he developed was called the spiral heat method. In it, hair was soaked with an alkaline solution (first achieved with a mixture of cow urine and water, according to some accounts), then wrapped in a spiral around metal rods, which were connected to an electric heating machine. The metal rods were heated to curl the damp, chemically-treated hair. Nessler conducted his first experiments on his wife, Katharina Laible, in his London salon, in front of an audience of impressed hair stylists. But the method wasn’t without drawbacks. The process took about six hours and used about 12 2-pound brass hair rollers. The rollers were incredibly hot–about 212°F–and could burn a woman’s scalp. To avoid burns, Nessler developed a cumbersome system of countering weights suspended from an overhead chandelier. His first two attempts on his wife’s locks resulted in completely burning her hair off and burning her scalp. Thanks to his perseverance–and his wife’s patience–Nessler improved his electric permanent wave machine, which began enjoying wide acclaim. In 1909, Nessler received a patent for his invention. During World War I, the British jailed Nessler because he was a German, but he escaped to New York in 1915, where he opened a hair styling salon on East 49th Street. American women loved his permanent wave, or “perm,” and by 1927, Nessler, who began going by the surname “Nestle,” had salon branches across the US, in Chicago, Detroit, Palm Beach, and Philadelphia staffed by some 500 employees. Though Nessler eventually lost the considerable wealth he amassed from his invention in the Black Friday stock market crash, his hair perming method marked a significant advancement in curling technology and became the precursor to the modern-day perm. Caption: Mrs. Kerka poses with permed hair. Her husband, Francis Kerka, had joined Charles Nessler in pioneering the permanent wave.